The mask – thing in the field needed. Yes, and the house (God forbid, of course) it could catch fire. In order not to suffocate you have to wear the mask and escape from the room. 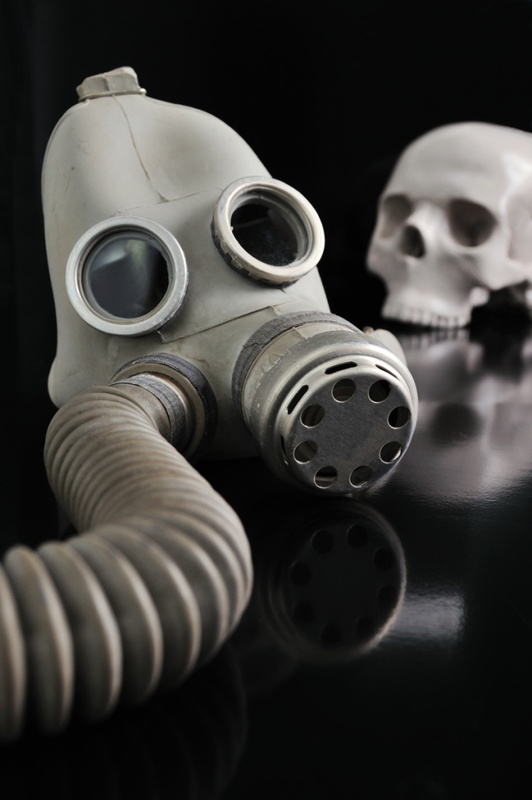 The problem is not how to wear a gas mask and how to wear it quickly. Words practice we can train you can not, but the theory should tell. To know what the gas mask will have you fit, you need to know some parameters, namely, the horizontal and vertical circumference of the head. Horizontal girth measured along a closed line that goes on the front superciliary arcs to the side just above (2-3 cm) of the ear and behind the apex of the head. And the vertical girth can be determined by measuring the length of the vertical line passing through the chin, cheeks and crown. These measurements should be rounded so that the last digit was 0 or 5. From 1290 to 1310 mm – six. Now this is how to wear the gas mask to put your head in this saving "rubber bag with filter" you need to either after the signal "Chemical alarm" on command "Gases", or on its own initiative. First tight-shut your eyes tight to avoid being corroded acrid smoke (who knows what happened there), and then remove the headgear and remove the mask from the special bags and grab the helmet-mask over the lower part so that the thumbs were on the outside, and the rest were inside. Next you need to attach the lower part of the helmet-mask under the chin and pull his head sharp movement of your hands up. You will need to practice, so that after stretching the mask doesn't leave any creases. You can now do a full breath, open your eyes and resume breathing. Given the fact that the operations described above, you have to spend blindly, should be long enough to train. Although it depends on the person and his degree of learning. Well with practice you can even come close to the army regulations put on the gas mask for about 7-10 seconds.